Christie’s will be offering a selection of ex-cellar ‘grandi cru’ wines from some of Italy’s leading producers in London this month. Taking place on 15 March at the auctioneer’s King Street salesroom, the wines in the sale include well-known producers such as Ornellaia, Sassicaia and Gaja, as well as estates whose wines have never before appeared at a major auction. All of the producers however are members of the Comitato Grandi Cru d’Italia and their wines cover nearly every aspect of Italian winemaking; from sparkling wines in Lombardy and Trentino, white wines from Tuscany and Sardinia and red wines from Veneto, Barolo, Barbaresco, Tuscany and Marche. 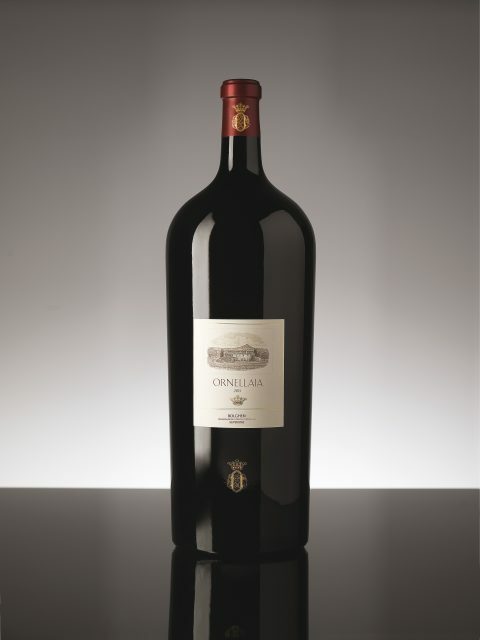 Included in the auction are a few large format bottles of Ornellaia’s 2015 vintage including the only 12-litre bottle with artwork by South African artist William Kentridge, which were designed for the 10th edition of the Vendemmia d’Artista collection. Other famous Super Tuscans are much in evidence, including 2009 wines from Solaia, Tignanello and Guado al Tasso and Matarocchio – all from the stable of Marchesi Antinori. other Italain highlights from the sale include old vintages of Cavallotto’s Barolo Riserva Vigna San Giuseppe from 1964, 1967, 1971, 1985 and 1996 and magnums of Col d’Orcia’s 1990 and 1999 Brunello di Montalcino Riserva Poggio al Vento. The sale also features a consignment from a private cellar that includes a “stunning range of Dom Pérignon, Krug, Petrus and Le Pin, Coche-Dury and bottles of Domaine Huet’s Vouvray from the 1921, 1945, 1947 and 1959 vintages.